Mobile commerce is growing at nearly three times the rate of overall e-commerce, according to a research by PayPal and Ipsos. From 2013-2016, the multi-country average compound annual growth rate (CAGR) for mobile commerce is projected at 42 percent, compared to 13 percent for overall ecommerce including mobile commerce. The research, which investigated the mobile shopping habits of more than 17,500 consumers in 22 countries, also reveals insights on mobile shopping behavior, barriers and growth markets. As a percentage of global online spend, mobile commerce is still relatively small. Smartphone purchases are driving 9% of online spend and purchases made on tablets account for only 5% of online spend. Interestingly, the prevalence of mobile shopping is quite significant. A third (33%) of online shoppers surveyed report having purchased something via smartphone in the past 12 months, and 20% report making a purchase via tablet. The surge in smartphone commerce is being driven by young adults. 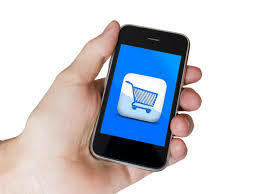 A global average of 59% of smartphone shoppers are between 18-34 years old, compared to 44% of total online shoppers. China, Turkey and the United Arab Emirates dominate in smartphone commerce. Globally, 64% of smartphone shoppers have purchased via an app and 52% have purchased via browser. Among those who have used both platforms, apps are typically preferred (47% prefer to shop through an app).